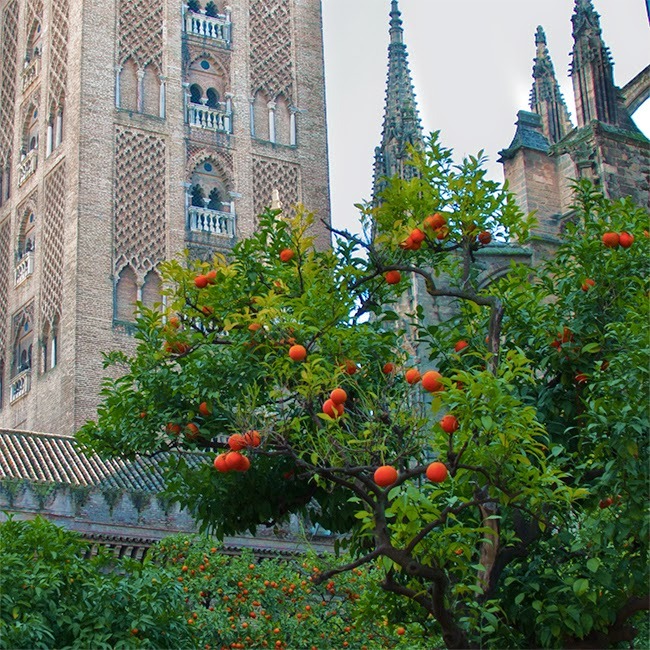 "Court of Oranges" at the Seville Cathedral in Spain. There’s something about the aroma, color and flavor of fresh citrus that’s intoxicating, exotic, and yes, some would say almost mystical. I’m certainly not the first person to think so. A dizzying variety of citrus is grown around the globe, and over time, a number of these fruits have taken on cultural or religious importance. In fact, citrus has been used in ritual for hundreds and even thousands of years. Surprisingly, botanists aren’t quite sure where the genus originated—it may have been Australia, or it might have been Southeast Asia. But wherever the original plants came from, their appealing qualities meant that the trees and their fruits quickly spread across travel routes, making their way through Asia and to the Middle East, Europe, and of course, the Americas, where Spanish explorer Pedro Menendez is believed to have planted the first Floridian orange trees in the mid-1500s. The etrog fruit used during Sukkot. One ritual use of citrus that you may not have heard of involves a fruit known in the Jewish tradition as an etrog. This citrus fruit, which looks rather like a long, bumpy-skinned lemon, is a type of citron. 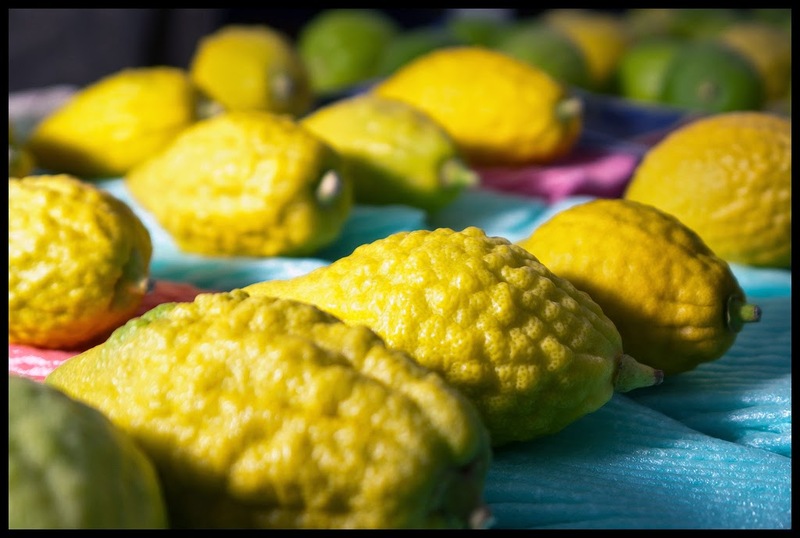 The etrog has long been a part of Jewish religious observance, and is considered to be the “beautiful fruit of a tree” referred to in a key passage of the Torah. During Sukkot, a holiday celebrated in the fall, observant Jews recite a blessing over an etrog, date palm fronds, and willow and myrtle tree branches. A ritual etrog should be unblemished and grown from seed (as opposed to grafted, like most citrus). Perfect, beautiful specimens can fetch a high price, and the etrog may be kept in a special, elaborate case. While etrog is edible, it is mostly rind. 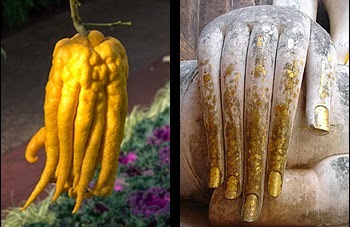 Another fascinating citrus fruit used in religious ritual is the amazing Buddha’s hand. With its many long “fingers,” this fruit looks like no other citrus you’ve ever seen. Buddha’s Hand is often displayed on altars in Buddhist homes and represents good luck and good fortune. Its “fingers” are said to symbolize the hands of the praying Buddha, with a more closed “finger” posture considered preferable. The Buddha’s hand is also almost all rind, but it’s highly fragrant, and the zest is said to be delicious. As with the etrog, this fruit is a type of citron. Interestingly, the citron is also considered a sacred fruit in the Hindu religion, where it can be seen depicted in statues of various gods and goddesses. 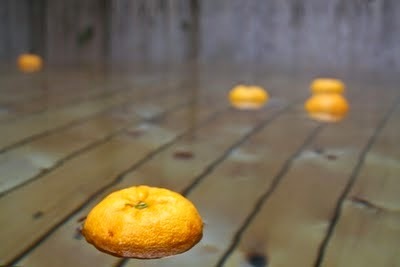 Yuzu floating in a hot bath. In Japan, the winter solstice (December 21) has long been traditionally marked using citrus. The yuzu, a very cold-hardy Asian citrus that is somewhat similar to a grapefruit, is used in ceremonial hot baths at this time, where it releases its heady fragrance and symbolizes the ability to thrive through the winter. The bath is also thought to be therapeutic. Japanese New Year celebrations also incorporate an ancient Asian citrus variety called the daidai, which is a type of bitter orange. 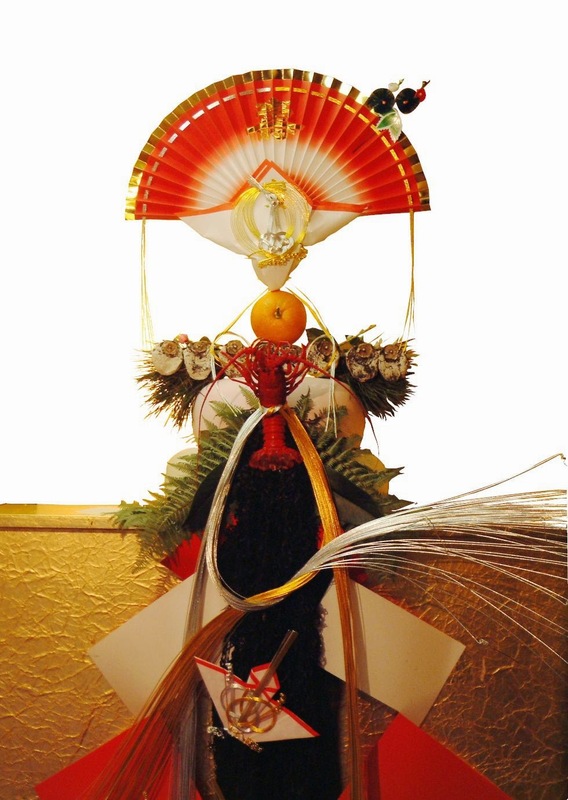 The daidai is used to top an elaborate altar decoration called a kagami mochi. This tradition is thought to date back to the 16th or 17th century. And though this is a less formal and solemn tradition, many cultures around the world have associated citrus with Christmas. Here in the United States, it was once very common to receive an orange in the toe of one’s stocking. This was back when oranges were more of a rare, expensive luxury. Today, oranges still make a great gift around the holiday and year round. Send someone you love the unique gift of fresh oranges! In Europe, too, oranges remain associated with gift-giving and holidays. Oranges in shoes for St. Nicholas's Day. 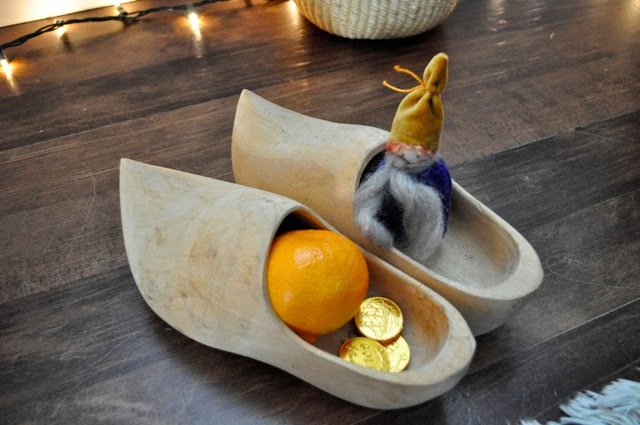 In Germany, for instance, children receive oranges (along with sweets and nuts) in their shoes on December 6th—St. Nicholas’s Day. And many delicious , traditional Christmas treats also incorporate the flavor of oranges and other citrus. It’s been fascinating learning about some of the uses of citrus in cultures around the world—and this is just the tip of the iceberg. These gorgeous, delicious, and fragrant fruits have found their way into art, religion, and culture for centuries. When you enjoy citrus, you’re joining millions of other people around the world who have venerated and valued these amazing fruits. "Torre y Naranjos" by Antoni Soler licensed under CC BY 2.0. "The ETROG" by Flavio~ licensed under CC BY 2.0. "Buddha's hand citron" by Mark licensed under CC BY 2.0. "Buddha's hand" by Oxag licensed under CC BY-SA 3.0. Picture of wood shoes with orange from No Kangaroos in Austria.